It’s dress-up time! 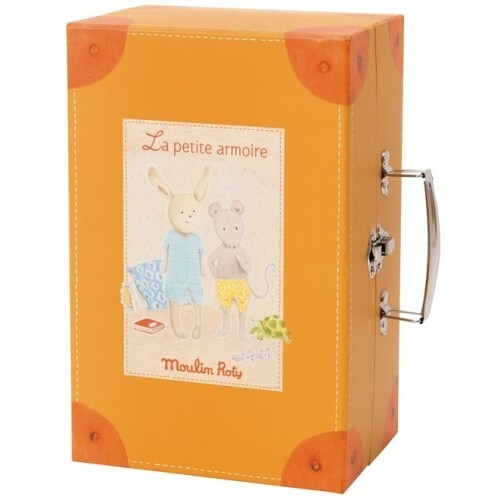 Your little one will open this sturdy, illustrated suitcase to find a miniature wardrobe containing a small (20 cm) Sylvain rabbit and Nini mouse with a selection of their day and nighttime clothing. 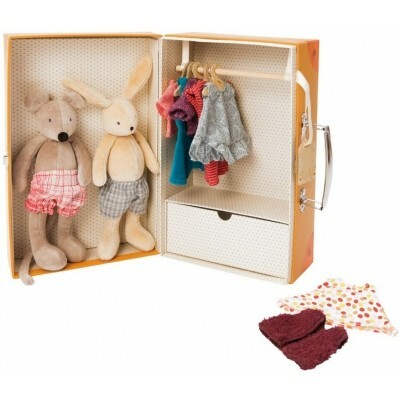 Complete with a drawer and hanging space, your little one can mix and match clothing items for the many adventures that they are sure to send Sylvain and Nini on! 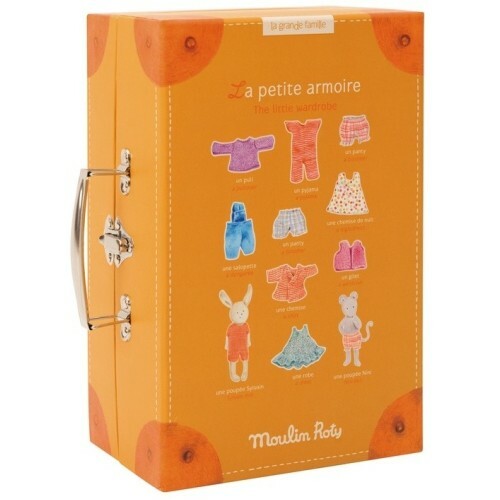 The armoire is designed for children aged 2+ and measures 11-inches tall by 7-inches wide and 5-inches deep.